As part of this blog series focused on new perspectives on women’s leadership, I share not just research but also real women’s stories and leadership experts' experiences. Each interview is structured around a similar set of questions to allow for the emergence of some comparisons and commonalities. However, perspectives, struggles, and lessons learned will differ - either from the perspective of being an emerging or underserved/underrepresented female leader, of being a mid-to-senior level female leader, or of being a thought leader or researcher in this field. 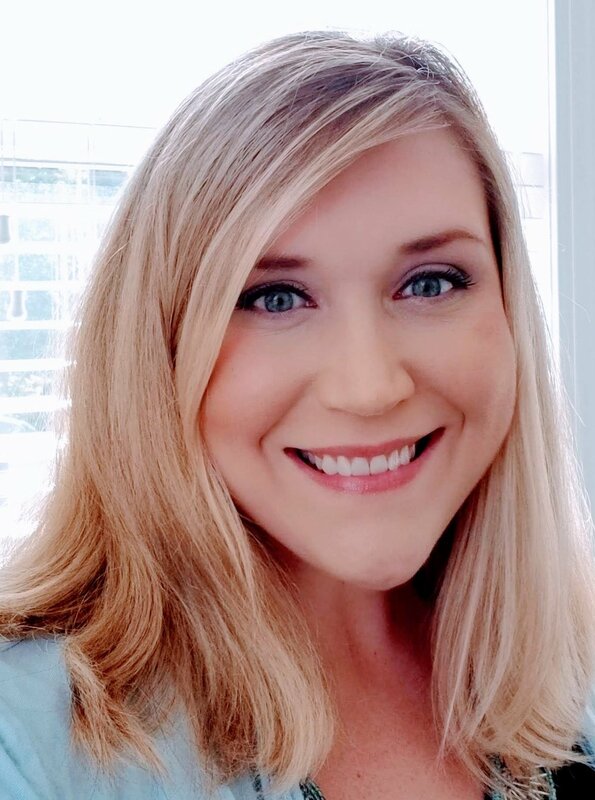 My first interview is with Dr. Vanessa Roddenberry, an early career psychologist who left a career with the Department of Veterans Affairs to start her own private practice. She successfully built two private practices, each which grew quickly in size, offerings, and employees. (She currently owns Breyta Psychological Services.) As I conducted this interview, the themes woven throughout her story that struck me most was (1) her focus on empowering women to extract themselves from their own (learned) restrictions and take a risk and (2) her focus on identifying and following your own values as a guide to the right career path. I will share some research on the first of these two themes throughout the interview, in italics. What is your definition of leadership and how did you get to this personal definition? Being a leader is being willing to forge a path and hold that space and identifying who would like to follow that path with you. It takes personal integrity, being clear on your values and goals, and serving as a beacon for others. Tell me about the first time you thought about becoming a leader? What did the concept of a leader look like to you? As a young child – a female – I didn’t want to be a leader. There are stereotypes about leadership that you need to be loud and control other people and situations through your own force of personality that fit more with male stereotypes. As an introverted person, being a leader never occurred to me because that description didn’t fit with who I was. Indeed, Dr. Roddenberry was referring to the leadership motivational style that is focused on personalized power, which includes influencing others through overpowering, controlling, and influencing them through coercion, manipulation, and/or control. This style is seen more often with a directive “command-and-control” leadership style(see also Valerio, 2009), which is often perceived as stereotypically male. Were there things in your cultural background or upbringing that helped or hindered how your leadership experiences and interests developed over time? Looking back, from the time I was very young, my parents were small business owners. Other people might stumble into owning a business or may not realize it’s even a possibility. But I saw it as something that was possible. I am grateful to them now for what I was exposed to. I saw them create a vision of how to take a passion and transform it into something that could be profitable. As a woman, that is a really powerful message that we don’t often get (nor all children) – that schema of the realm of possibility. We, as women, are enculturated to want security, to wait to be offered opportunities, to be soft-spoken…. The message that “You can be assertive about your future” is a really important message for girls. What do you think holds women back from seeking or obtaining leadership opportunities at work or in their communities? And in your case, what led you to leave a big organization to start your own business? Working within an institutional (e.g., hierarchical, structured, established, government) setting, you are told each next step to take. That message, combined with gender stereotypes of waiting to be told what to do, what you should want - where someone else assumes what’s best for you -is likely to lead to no one offering you many leadership roles and you not seeking any. You have to be assertive and take it if you want a leadership role. In my private practice, if I want my office to look a certain way, I can just change it. I can control the temperature, I can control how much I make, I can control how much I work, because essentially I work for myself. I value my personal freedom, so it’s important to me to be able to control my own capacity for growth. How did you eventually come to see yourself as a potential leader? What is most scary and most fulfilling? As I mentioned, I’ve never been one who enjoyed leadership roles. There is this preconceived notion that a leader must force their will on others to be successful so that didn’t appeal to me. But when I entered graduate school, I found something that I was good at – my calling – and the natural requirements of mentoring undergraduate students forced a new leadership model. It helped me build and flex my leadership muscles. In graduate school, they tear you down and build you back up through constant reviews of your performance. This ongoing review process sends the message that there is always something you can improve. At first, it made it very hard to shake the imposter syndrome. But then I realized there are many people out there much less qualified. There is a lot of knowledge and experience I have to offer. The only thing that was holding me back was my own beliefs in myself. Now as a private practice owner, I value the ability to help other psychologists establish their practices and mentor their professional development. I see leadership as a way to maintain opportunities for the other women who work with me and to ensure we offer the best care possible to our clients. For me, it’s about strength through support, rather than influence. What advice would you give early career women about being a leader in their community via business ownership? Transitioning to private practice requires a willingness to leave security. There is a deeply ingrained and gendered belief that what women should want is security and stability in terms of salary, health care, maternity care. And certainly, that’s a lot to weigh against the kind of freedom and growth potential you get with business ownership. There’s a quote I like to think about: “There are two types of prisoners: those who light a match to keep warm in their prison and those who will use the match to burn it down”. It speaks to the willingness to tolerate discomfort and uncertainty in service of growth and freedom. Males have more freedom in general - they are less likely to worry about maternity leave, they are paid more, they have an easier time procuring a job and being promoted in typical jobs. I felt like I had to just jump, supernova the stereotype of what I “should” want, and leap into the unknown. And I’m so glad I did because this was a new opportunity to build a business – for myself. I encourage early career psychologists to know that if your professional vision doesn’t currently exist, you can create it. What skills, experiences, and knowledge you think you need to be successful in any leadership role as a woman and what advice would you give for future young women? Sometimes you may not realize how the small things in an office can turn into big things. For example, in my first job, I didn’t have a job title for a long time. I wasn’t concerned about that – I was just happy to have a job. And I didn’t want to rock the boat about it or be seen as rude. Women tend to worry about that perception. But not having a job title made things much more difficult when new opportunities came up that required a specific job title. There are also subtle ways women are silenced – they are not always looked to for opinions at meetings, for example. My advice is to trust yourself. Don’t wait for someone else to tell you what you deserve. Take care of it yourself. Know you are strong enough and you can do it. When I started my first practice, I marketed it based on what I thought other people wanted to hear. I was fighting my imposter syndrome voice. But what I found is that it’s so much more fulfilling if you market yourself – give yourself an authentic honest assessment of what you bring to the table. What makes you unique, and how can you serve your community will take you much further. If you are connected to these personal values, people will follow you for you, so it doesn’t take convincing anyone or forcing anyone to follow you. It’s a different type of leadership style. In support of Dr. Roddenberry’s experience, many women’s leadership experts, such as Valerio (2009) and Ruderman and Ohlott (2002) describe how many women opt out of corporate culture and start their own businesses specifically to expand their options and achieve greater authenticity. They say that part of being an authentic leader is having the courage to show your vulnerability. Reviewing the literature on leadership styles, Dr. Roddenberry’s styles likely best fits a combination of Visionary, Affiliative, and Coaching. Valerio (2009) indicates that leadership styles are developed through an interaction of personal characteristics such as values and personality, organizational values, and mentorship. The effectiveness of a leadership style, however, depends on the management situation. Learning about your leadership style and competencies can help you identify how effective it is in your current career situation. For women especially it can be an empowering and enlightening experience that helps guide the next steps in their career and leadership development. What kind of qualities do you need to be an entrepreneur? I agree with the notion that if you aren't in a position that allows you to live in context with your values you'll be unhappy, as well as the notion that pursuing happiness for the sake of it, fixating on the focus illusion, is doomed to fail. Experiences that are values-consistent will be less likely to create negative emotion, may create happiness (though no guarantee), and are more likely to result in lasting and meaningful eudaimonic happiness(i.e., based on meaningful fulfillment as per the Positive Psychology literature vs hedonistic pleasure-based happiness). I think the crux of the matter is what an individual's personal value is and how they define it. For one person, freedom may be control of an office environment or schedule, but to another, the dependability of a salary may serve as a means of allowing them to budget time/dollars toward life goals like trips and that feels like freedom to them. It's a cost-benefit analysis that has different weights to the scales depending on who you are. As a woman, for some, predictability and security are important factors, but for others, so are how realistic change, advancement, respect, equality, or control can feel within any given company/organization. I think this differs based on gender. For some women, entrepreneurship may be a way to be their own CEO when it never would have been possible otherwise. Management and C-Suite jobs are hard fought for by women so it's worth noting that it may be something some men take for granted. There are many women who may want the benefits of employment but whose life passion lies elsewhere (like travel). If that's the case, they would certainly be well suited in a job that allowed them to do this, but that's not to say they couldn't do it as an entrepreneur as well. It all comes down to passion and values. Vanessa Roddenberry is a licensed psychologist in private practice in Raleigh, NC. Dr. Roddenberry specializes in the assessment and treatment of trauma and PTSD. In addition to clinical experience, Dr. Roddenberry has held supervisory and educational roles, such as serving as national coordinator for a collaborative training program on evidence-based mental health care techniques between the Department of Veterans Affairs and the Defense Center of Excellence for Psychological Health and Traumatic Brain Injury. In her free time, she enjoys reading, spending time with her husband and son, and traveling. This article was originally posted in Psychology Today online on October 22, 2018. Copyright 2018. All rights reserved by Mira Brancu/Brancu & Associates, PLLC. *As an Amazon Associate I earn a small percentage from qualifying purchases. I haven’t been asked to advertise anything, but when I reference a good book that happens to be on Amazon, I add the qualifying purchase link to it - if you end up purchasing the book for yourself, it’s a win-win!